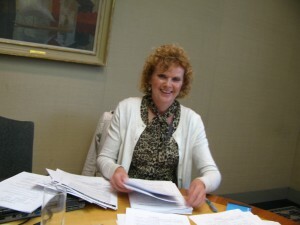 Futures for Women Secretary, Jane Hampson, sorting through applications for loans. Our annual Development Day for 2013 took place on 1 October, kindly hosted by ING Bank in London. Our topic for the day was fundraising and we were delighted to welcome Alice Clay, Head of Development at the City of London Festival, as our speaker. Alice is responsible for overseeing income generation for the Festival from a variety of sources and as she is also a keen supporter of Futures for Women she was well-postioned to speak to our Trustees about raising funds to extend our own work. We would like to thank Alice for sparing the time to join us and for guiding and inspiring us in the right direction. 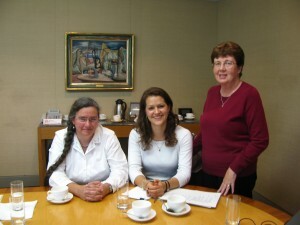 Following Alice’s presentation our Trustees reviewed the applications for loans received in the previous three months. Nearly fifty applications had been received and it was a very difficult task to short-list potential candidates. Interviews with short-listed candidates will take place in November.